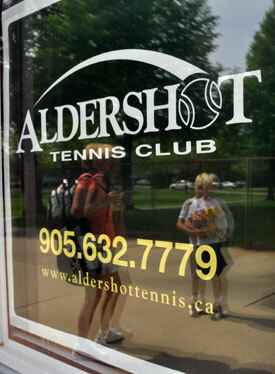 In keeping with our motto of the highest quality and the best value tennis in southern Ontario, we expect our members, guests and spectators to respect the sport, its rules and sportsmanship. Only make line calls on the other side if your opponent asks for help. Call against yourself any ball hit from your side which you can see clearly “out.” Correct any “out” calls to “in” if you've made an error. Call “out” or “let” right away before the ball is dead or your opponent makes the return. Otherwise, the ball is “in play”. Confess to any of your own double bounces, net touches, net reach-overs, double hits, 2-player hits, balls touching, etc. It's cheating to “wait and see” if opponents notice. When serving, you may not touch or cross the baseline with any part of your body prior to contacting the ball – this is a foot-fault. However, in un-officiated matches, players may only request that opponents not foot-fault. With no umpire, no points may be taken from an opponent due to a foot-fault. It is unethical to make a “let” call just as your opponent is about to put the ball away. In matches, spectators may not become umpires and make line calls or rulings – even if asked for assistance by a player. If you are playing and you have any doubt about a call, don't ask others: give the opponent the point. Spectators include relatives, friends, and coaches. Before each point, the server should call the score loudly. If there is disagreement on score, players can settle by spinning a racquet or flipping a coin. As a last resort, players must go back to the score last agreed upon (no matter how far back) and continue play from there. When starting a doubles point with the wrong server, remedy by immediately substituting the correct server – who inherits any fault already served. When receivers in a doubles game have returned serve out of order, remedy by finishing that game staying on those receiving sides, and resume proper receiving order in the next return game. Try to keep play continuous. The time allowed between points is 25 seconds, and on changeovers, 90 seconds. 10 minutes is allowed for injury (cramps and heat suffering are not considered injury). It is unethical to stall for time in a match when you are hot or tired. However, if conditions are humid or hot, use generosity and good sense. It is discourteous to rush your opponent.